In the original blueprints for the Castle, this room was labeled the “Sewing Room,” where all the needed sewing for the owners and staff was done. The Sewing Room is a smaller room that can be added to the rental of the Rose Red Suite. 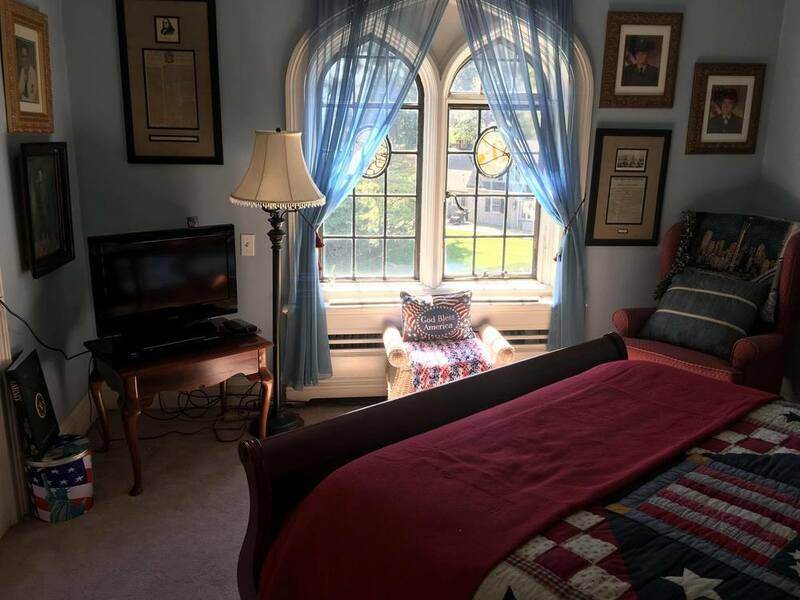 This room is decorated in an “American" theme and features a queen-size mahogany bed and 16th-century stained glass windows.